Something I realized today was that I was holding grudges, and holding them for no reason what so ever! 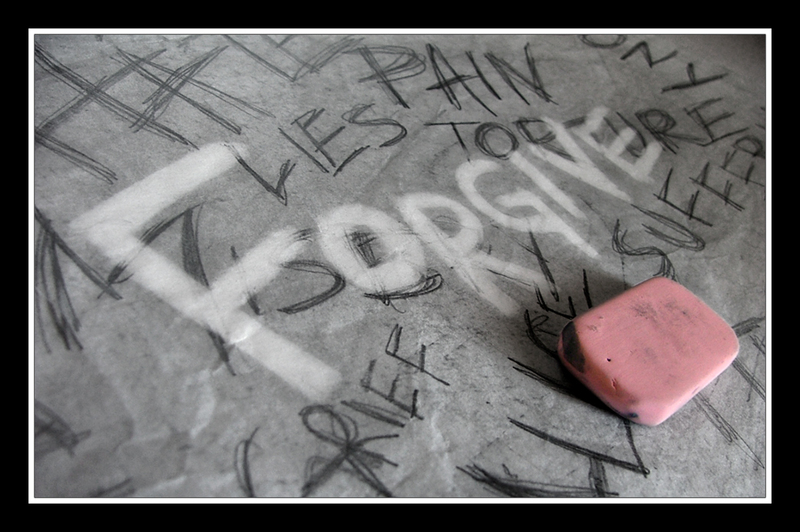 I had told myself that I had “forgave and forgot”, but had still held a grudge in my heart. I’ll admit that it can be hard, REALLY REALLY hard to forgive and forget someone who had wronged you, but it is absolutely essential. A topic preached on Sunday at church [urg I’m writing this a day late, did I defeat the purpose of my blog already!] was that of forgiveness. The example given to us was that of Joseph’s forgiveness, even after how horribly his brother’s had wronged him he was still able to forgive his brothers, but he was sitting on a throne. Our Jesus was able to forgive when nailed to a cross, when people spat at him and cursed. The point the preacher had made was that its SO easy to forgive someone when they ask for forgiveness, but it becomes difficult when the person still acts in a wrongful manner. Going back to women’s devotion, we all had the chance to pick a name from a hat and write a small letter to a random person. The note I was given was from a younger girl in my church. She had decorated it with stickers and everyone was able to decorate a candle to give it to whoever they had picked out of the hat. What I really learned most from this exercise was not just the love that came from all of us when we had given out our candles, but the unveiling the grudges I still held in my heart when I thought to myself I didn’t want to get so and so. Life is too short to hold grudges and hold pain, I should know that from experience. Today I want you to look at your life and see what’s REALLY in your heart and if there are grudges let them go! Life is so much more than some petty grudge and you are worth more!